Originally a room for just cooking in, the kitchen has come a far cry from its initial purpose, and is now designed with so much more in mind. Depending on the size of the room and the available space, you may wish to combine your cooking area with your dining and living zones, or you may wish to separate each room entirely. 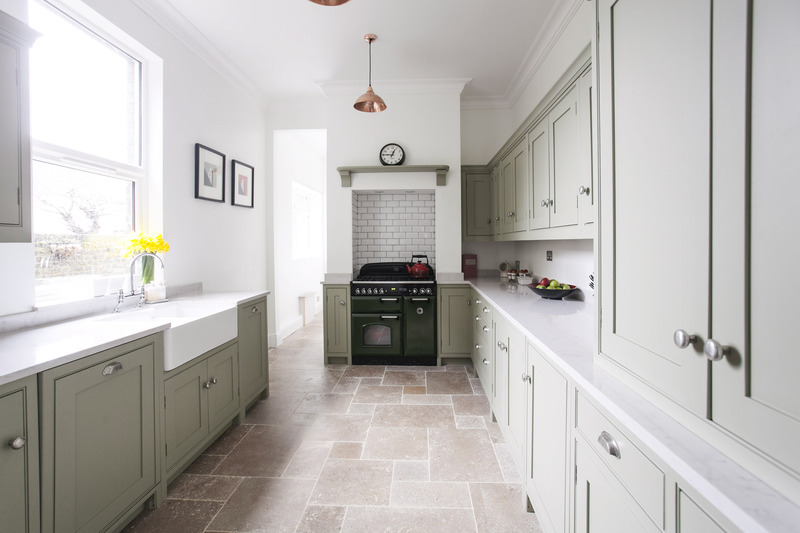 Before finalising your kitchen design, it is important to research and get to know the most common layouts, and ensure you choose the right one for your space. 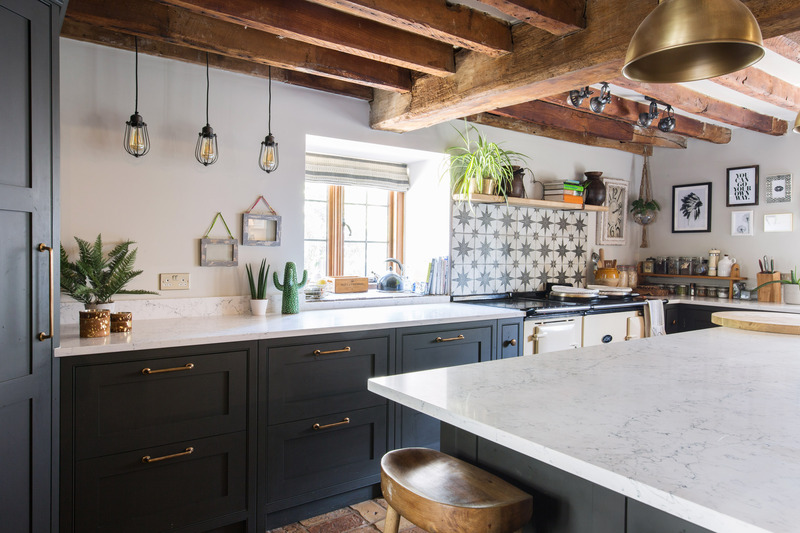 To ensure your kitchen is functional and efficient, a good, well designed layout will make the most of the available space, and keep everything organised and within easy reach. How your space flows is also a vital element you will need to consider, as well as user-friendly areas away from any danger hot spots such as the hob, or a knife stand. You should also consider the 'working triangle' - a concept designed to minimise effort and walking distance between the sink, fridge and cooker by placing them on three points of a triangle. Usually, an L-shaped kitchen consists of two runs of cabinets at right angles along adjacent walls. A L-shaped kitchen is the easiest way in creating your working triangle, by having your fridge at one end of your 'L'. your hob at the other, and the sink in the middle. A L-shaped kitchen is usually very open plan, and if space allows, a table and chairs can also be added to the room, to create a kitchen and dining space. Combining a mixture of wall cupboards and base cabinets ensures there is enough storage, and breaks up the layout slightly too. Adding an island to an L-shaped kitchen provides a multi-functional space that can be used for prepping food, cooking or even creating a place to sit and socialise by creating a worktop overhang. To see more of this kitchen, please click here. Adding a second prep sink to the island is also very useful, and a Quooker boiling water tap eliminates the need for a kettle freeing up worktop space too! A U-shaped kitchen layout is usually created by lining three walls with cupboards and cabinets, but it can also be created by adding a peninsula too. A U-shaped kitchen is potentially the most user-friendly and efficient, and the U-shape can also make the most of a smaller space. A U-shaped kitchen means you are surrounded by units, so your appliances are always within easy reach, whilst providing you with plenty of worktop and storage space. Incorporating a breakfast bar within the peninsula is perfect for entertaining too. In a larger room, you may wish to add an island to a U-shaped kitchen. A galley kitchen is traditionally a long, narrow space, and the classic galley has one single row of units while the double galley has two running parallel. A galley kitchen is an ideal solution for a narrow room, and by combining both base cabinets and wall cupboards, you can create lots of valuable storage space. In a larger open-plan space, a galley kitchen can be created by adding an island running parallel to a wall of cabinets. This is an ideal solution to breaking up a large open-plan area, and can also create a breakfast bar area for dining and socialising too. If your room is big enough, a central kitchen island with cabinets on the surrounding walls is probably the most user friendly and practical kitchen layout, as it provides a multi-functional space as well as lots of valuable worktop space and storage. To make your kitchen functional and practical, position your appliances along one side of the central island, so you are not wasting time constantly maneuvering around it.